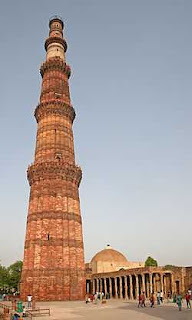 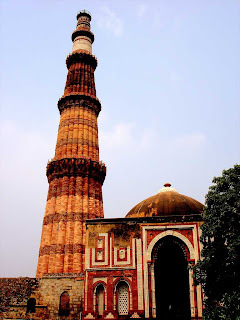 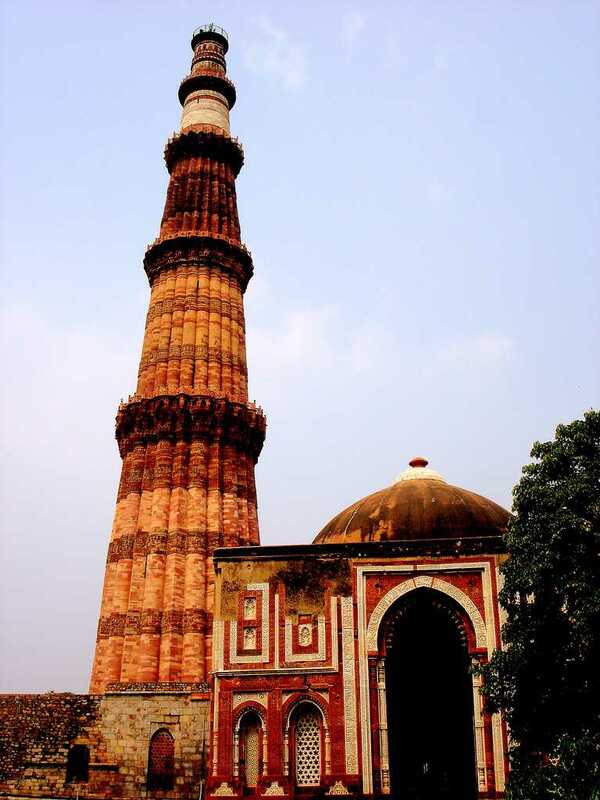 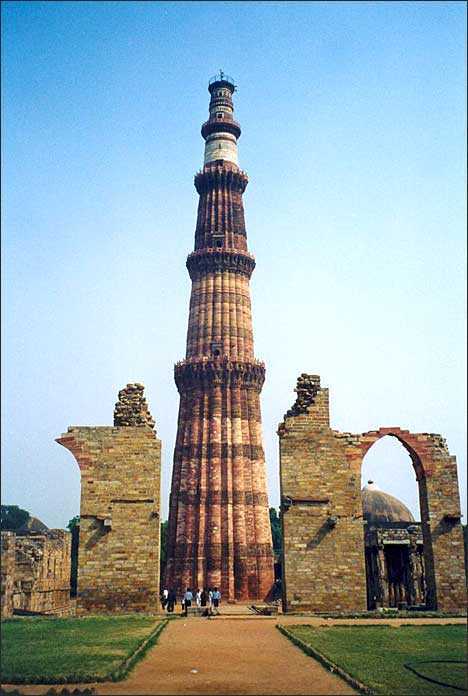 The Qutub Minar is a tower located in Delhi, India. 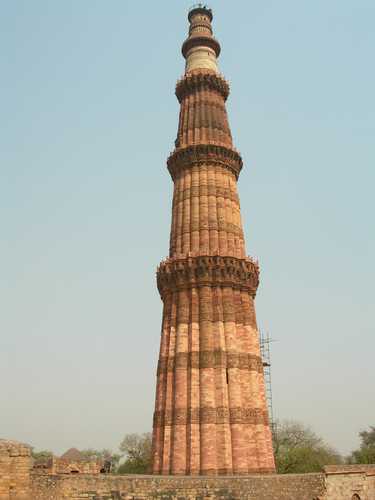 It is the world's tallest brick minaret with a height of 72.5 meters (237.8 ft). 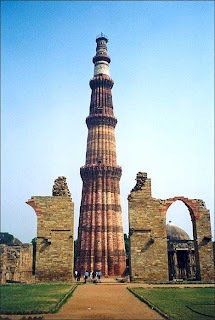 medieval structures and ruins, collectively known as Qutub complex.